Cristian Savani Lands in Verona! Tweet Cristian Savani Lands in Verona! With the loss of Stephen Maar to Power Volley Milano, and Thomas Jaeschke to a torn ACL, BluVolley Verona needed a reinforcement at the outside hitter position. Brenden Sander signed with Verona, but he is not projected to start as a rookie. They needed someone to start opposite of Mohammad Manavinejad. 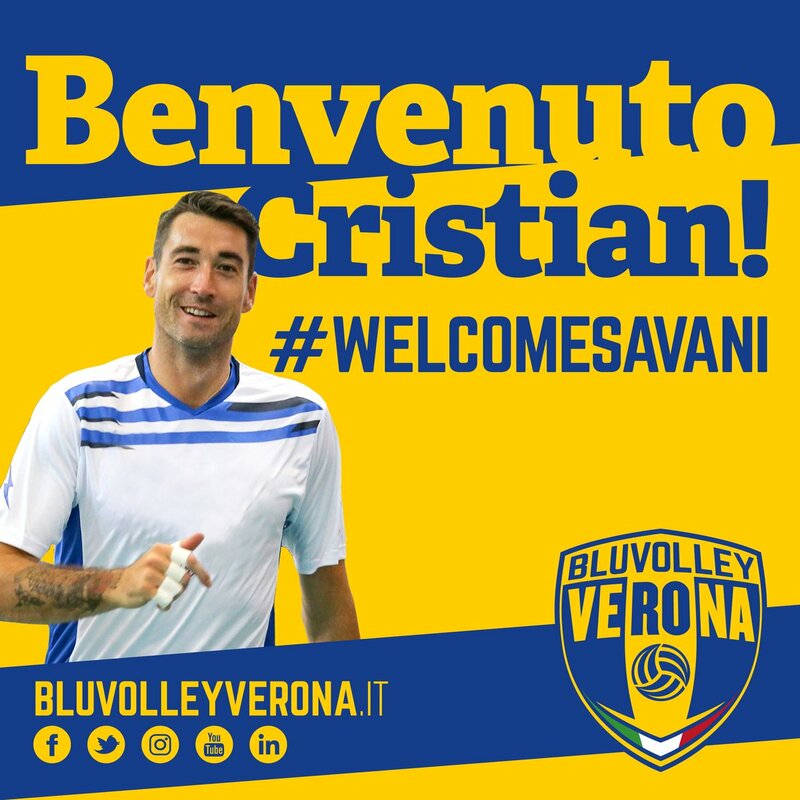 On July 18th Verona announced the signing of Cristian Savani. This signals the arrival of an outside hitter who has experience at the highest levels of volleyball. Last season he played with Taiwan Excellence Latina. The team finished the regular season in 11th place and made it all the way to the semifinals of the 5th place playoffs before losing to Gi Group Monza, the eventual champions. Savani was the leading outside hitter for Latina with 347 points. He was only behind opposite Sasha Starovic in terms of point production. Savani finished as the 20th-best scorer in the regular season of the Italian SuperLega last year, though he only hit .257 with a 43.7% success rate in attack. He also contributed 0.44 blocks per set and 0.28 service aces per set.